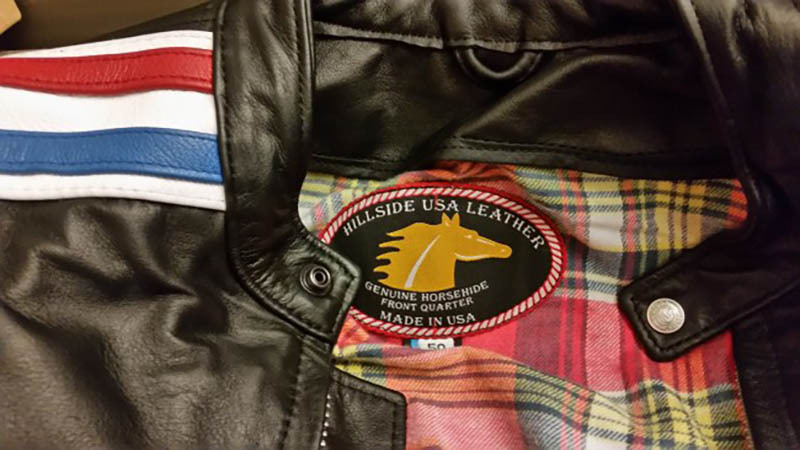 Hillside USA has been manufacturing top quality AMERICAN MADE motorcycle leather apparel, which includes jackets, vests, chaps and gear for men and women, for nearly three decades. Why? The simple truth is that as more and more jobs in the textile and garment making industry went overseas, the void that was left – for high-quality leather wear – was one that could only be filled by artists using techniques that have now become too labor-intensive for many consumers. 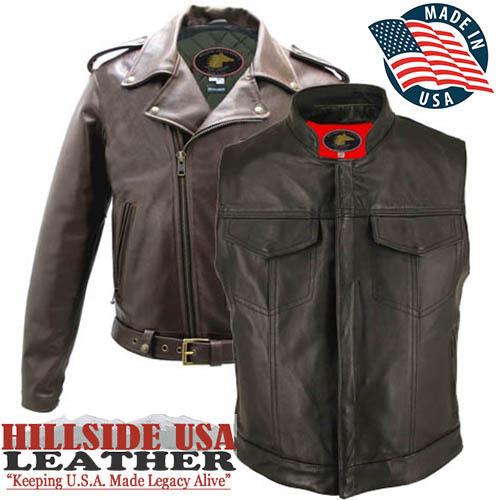 Hillside USA began with one goal in mind – to build leather garments the old-fashioned way. Their process involves no section sewing. What’s that? In the factories that crank out cheap leather goods, one person sews one piece, then passes it on to the next person. Hillside’s master tailors sew the garment from A to Z ensuring no inconsistencies in quality or design. Does that take a little more time? Of course. In the end, though, you own a product built by a master, not a machine. Hillside makes sure to source and use the highest grade of leather skin available, cutting out (and discarding) of any imperfections in that skin, the hardware is only YKK and Thinsulate is the preferred insulation for their zip out linings. The regular snaps are of high quality and the buffalo nickel and mercury dime are genuine coins which are converted into snaps for the garments. Hillside believes so strongly in what they manufacture they stand behind every item with a lifetime guarantee on their products. Their goal is simple – strive for give superior service, on time delivery, and high quality USA made garments. The MADE IN USA label reflects the pride and craftsmanship sewn into every garment produced. ← Where are You and Your Bike Headed this Year?